Yay, finally it’s turkey day, though I have to say I eat more mashed potatoes than I do turkey. 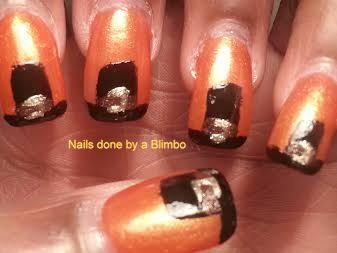 I decided to do a quick Thanksgiving Day mani before I head over to my cousins foe dinner. I have not eaten all day so I can pig out on food. 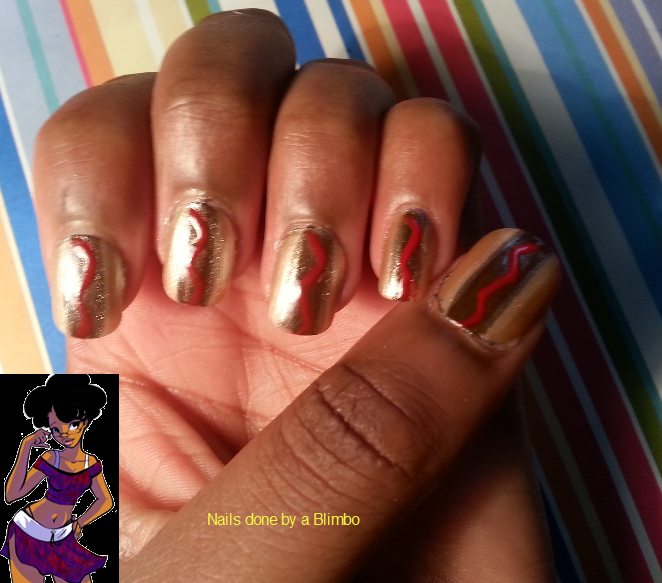 This is the first mani I have done in a while without using acrylic paint. I have yet to do a galaxy mani, I was excited to try it out! I wanted to add more details so I did a different zodiac sign for the people in my life. I tried as best I could with the space and lack of skill that I have to make it exactly how it is supposed to be. I was really excited for this one as I wanted to try a idea I had in my head out. 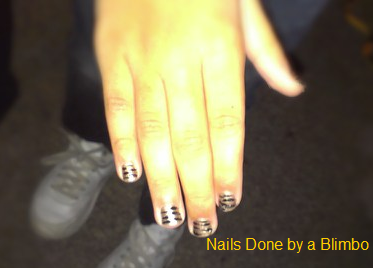 The idea was to paint my nails in a silver color and paint it over with a blue crackle polish. 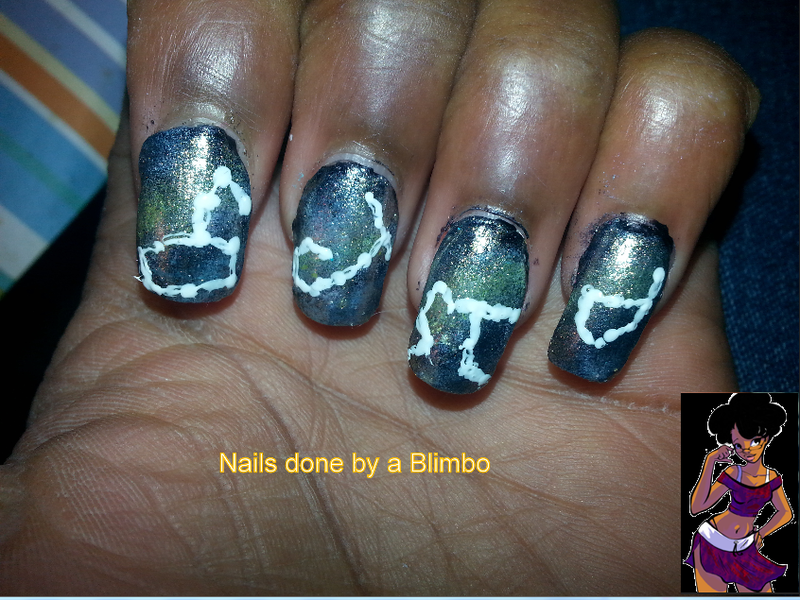 Then I was going to make clouds at the top of the nail to make it appear like lightning. It makes sense in my mind but I could not figure out how to make it work in real life. 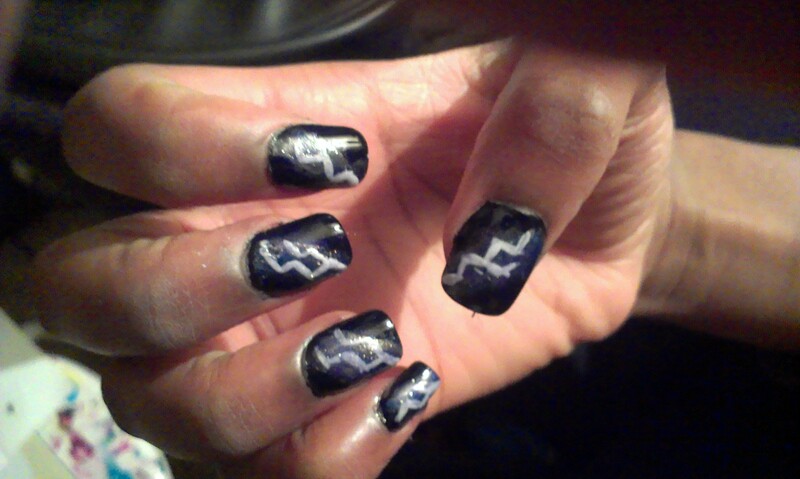 Oh well ….I ended up doing lightning. I love storms and lightning is one of my favortie things to look at in the sky. 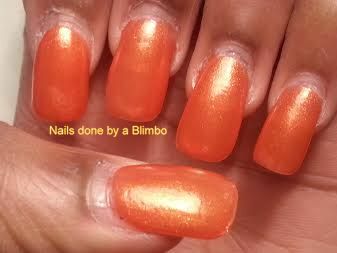 Gradient (sponge): Santee Plus Sky Blue, then SinfulColors Let’s Talk, next Essie Aruba Blue. Sorry for the crappy pic. Still waiting for my camera to be mailed back to me. 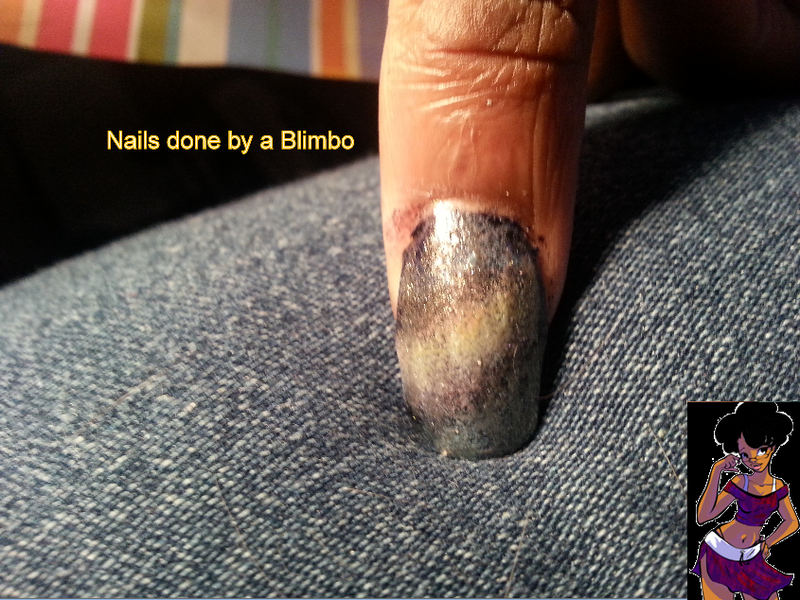 The pic does not show the sponge gradient I did behing the lightning bolt. I to do this one early as I would be off of work the next day and not near a computer also I am going to a dinner tonight and wanted to impress the ( hopefully) future in-laws. I was not a fan of this challenge. I swore off all holiday movies and refuse to watch any of them when they come on TV. I know its a shame and I have a 8 year old. Its not that I’m anti- Christmas I just think I grew out of it. Except for Shrek’s Christmas- when Puss was telling the night before x-mas and his eyes got huge when he was playing with the Christmas balls. So for the the challenge I asked people what their favorite movie was and the majority was Christmas Vacation. 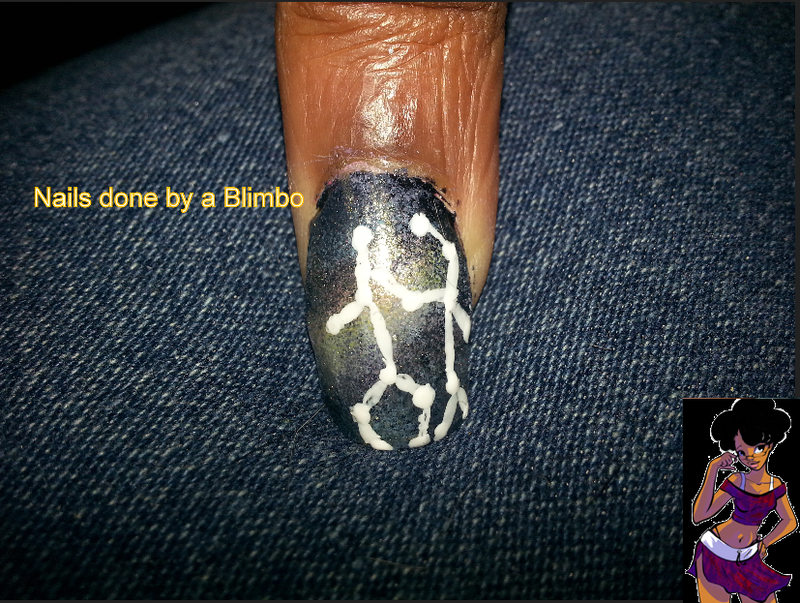 I tried to do a santa getting electrocuted like on the cover of the movie. Again I have no artistic talent whatsoever.